At least two firefighters were killed as a wildfire quickly grew in size overnight Thursday, the LA Times reports. The details: The wildfire, called Carr Fire, was started by "mechanical failure of a vehicle," according to the New York Times. By Thursday, it had swept into the city of Redding, home to 92,000 people, which is being evacuated. 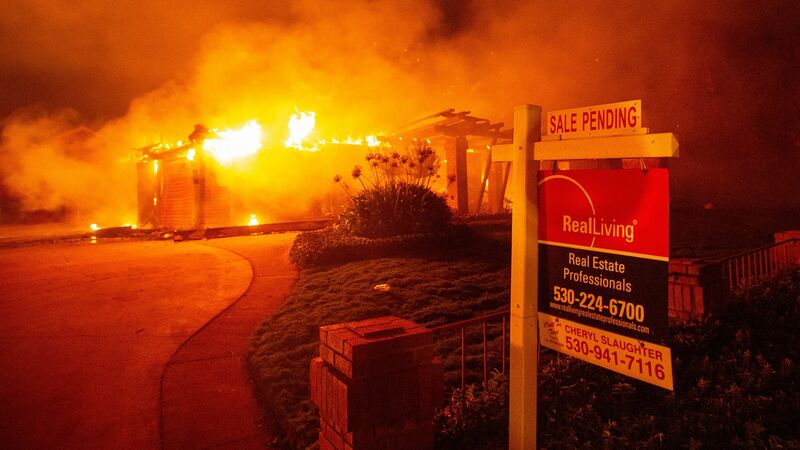 A CalFire spokesperson, Scott McLean, told the AP: "It's just a wall of flames." Three firefighters and an unconfirmed number of citizens were burned, the AP reports, and "thousands of terrified residents" were forced to evacuate. It spread to more than 28,700 acres by Thursday, NBC News reports. The Carr Fire is so "erratic," per the AP, that firefighters were unable to contain it. McLean said there were tornadoes within the flames "tossing around equipment, blowing windows out of Cal Fire pickup trucks," according to the AP. At least 65 buildings have been destroyed, the AP reports. The big picture: California is in the midst of a major heat wave and drought that is creating ideal conditions for rapidly spreading wildfires. There have already been 200 more California fires in 2018 as there were in the same period in 2017.